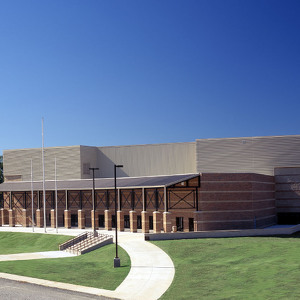 This outstanding 145,036 square foot health and recreational facility at Grambling State University in north Louisiana raises the quality of student campus activities to another level. While seating over 7,500 for basketball games and more for graduation ceremonies, this project enables the university to provide a state-of-the-art coliseum where family and friends of students can join them for special activities. Included is a banquet facility along with educational, administrative and support spaces for the Health Recreation & Physical Ed Department.